If you suspect that you might need a hearing aid, you will first need to have a hearing evaluation. At the time of the hearing evaluation, a case history will be taken to determine how much your hearing problem impacts your day-to-day life as well as the lives of your family. A complete history will be taken, and questions will be asked about when and how the hearing loss started, if there is ringing in your ears (tinnitus), and if you experience dizziness. You may also have to provide some basic questions about your general health history. If your hearing test reveals a permanent hearing loss, a hearing aid may be recommended. Your hearing professional may explain what sounds you are not hearing and what a hearing aids can do to help. It is usually at this appointment that you will get to see and touch different styles of hearing aids. In some cases, you may even be able to listen to a hearing aid. 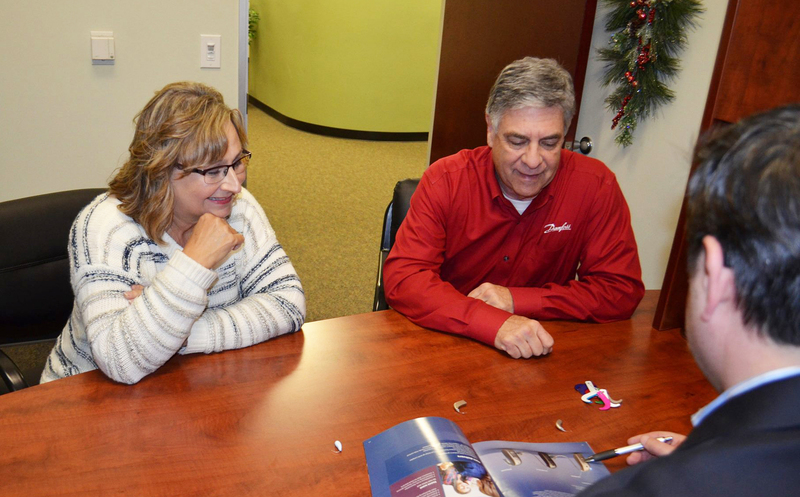 Your hearing professional will help you choose the best hearing aid style, features, and level of sophistication based on your degree of hearing loss, lifestyle, and financial circumstances. The final decision on which hearing aids are purchased is your choice. If you are having difficulty hearing and suspect that a hearing aid would help, we would love to assist you. Contact Stockton Hearing & Speech Center today!